I just finished reading “The Endurance, Shackelton’s Legendary Antarctic Expedition” by Caroline Alexander. This is the astonishing account of the 1914 sea voyage that nearly claimed the lives of its entire crew multiple times, but against all odds Shackleton and his men survived 2 1/2 years in the Antarctic. What struck me the most and the reason I’m writing this post is their relentless pursuit for survival and their “can do” attitude. The first chapter is appropriately titled, “The Heroic Age” and talks of times when men took on the impossible, smiled in the face of the unknown and took calculated risks to achieve greatness. Despite all odds fear wasn’t something that held them back. It’s truly an extraordinary story. Yet today I hear so many reasons why people can’t do this, and can’t do that. They say they don’t have the knowledge, don’t have the skill, don’t have the time, don’t have the money, don’t have the [insert whatever excuse you like here] to make an attempt to conquer their fears or pursue their dreams. It’s an incredulous thought that so many people have so many excuses for undoubtedly far less challenging tasks than Shackleton and his crew faced nearly 100 years ago. But not you my friend… like Shackleton and his men, you’ll stare the unknown in the eye and take the next step. You’ll conquer your fears and pursue your dreams. And unlike Shackleton you have the tools and resources readily available to make it happen right now. Ask yourself what’s your next step? What’s the one thing you can do right now to set your ship sailing, and conquer your own ocean? For most of us what makes it enjoyable as instructors is to have students who enjoy attending our classes and seeing their skill sets develop. If you want your classes to grow in numbers, become a better martial arts teacher, or simply just make sure your sailing is smooth, there’s one thing above all else you’ve got to do… and that is to be sensitive to your student’s abilities and limitations. I mean it’s important to pay attention to each and everyone of your students. Pay attention to the little details. Realize that each student is unique and has different obstacles to overcome. They may possess stronger skills in one area and weaker skills in another. Some may have flexibility issues, old injuries, mental and/or physical disabilities. And some require motivation, reassurance or simply need to toughen up. And as sure as the sun coming up tomorrow you can count on the fact that you’ll have people who learn and process information in different ways. A savvy instructor realizes all of these factors affect not only how they teach, but their student’s training routine. Novice instructors often overlook this and take the drill sergeant approach… my way or the highway, you don’t like it, leave, etc. 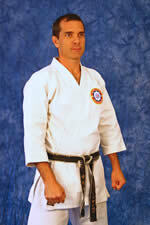 When what’s really required is some sensitivity from us as instructors to know our students and know them well. Really? Is that it? Could it be the way you’re teaching? Next time you teach, take note of whether or not you’re paying attention to the individual students or are you trying to throw a net over all your class and treat them all the same? Five years ago I was teaching karate part time at the local community center. “Yeah, but rent’s expensive and I really don’t know how to get started”, I responded. I was hesitant but thought, “What have I got to lose?”, so John showed me the vacant unit. It was in a bad part of town. And it was cheap… around $700 / month. It was also in really bad shape and needed a lot of work before we could even imagine teaching out of there. John told me not to worry, and that he’d help me get up and running. He told me he’d help with the construction, trash removal, and getting my business set up. After some consideration, I accepted his proposal and have never looked back. John did everything he said and we worked hard to transform that place into somewhere where I could teach. And that decision allowed us to grow my student base even more. My club wasn’t an overnight success. It took effort. It took persistence. And it took patience. I didn’t instantly quit my job and open a school… it was a gradual transition, a sliding scale if you will. I worked my day job until my first school was successful enough that I could let go of it. 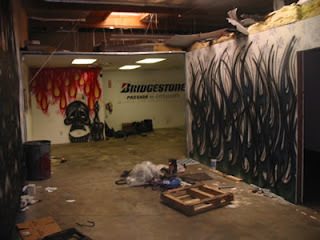 However, that first dungeon dojo was the stepping stone to the fantastic dojo we have now. And had I not answered the door when opportunity knocked, I’d still probably be teaching out of the community center. But instead that decision changed my life and led me to more and more opportunities. 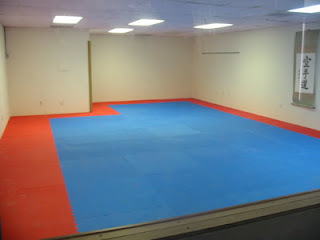 In fact we’ve moved our dojo twice since to bigger and better places. I wanted to share this with you to show you that all it takes is one good decision that can change your life. I went from teaching part time (and getting a part time paycheck) to owning and running a full time karate school. But if you’ve built your student base to where it can cover your expenses (including paying yourself) and you offer great service, the only thing that is stopping you is the story you’re telling yourself. When opportunity knocks on your door will you an answer it? Or will you let someone else get it?